Your business is all set up – you’ve got a Facebook business page with some likes and a great-looking website. And while you can embed Facebook feeds and page links into your website pretty easily, you can really take it to the next level by adding Facebook Messenger right to your site. Imagine your customers being able to chat to your Facebook page right from your website. Contact forms are OK, but live messaging is today’s marketing. So let’s go over how to set it up. The first thing you need to do is set whitelist entries on your Facebook page. Fortunately, Facebook locks down access to your page to any domains that you haven’t specifically allowed. This is for your protection. 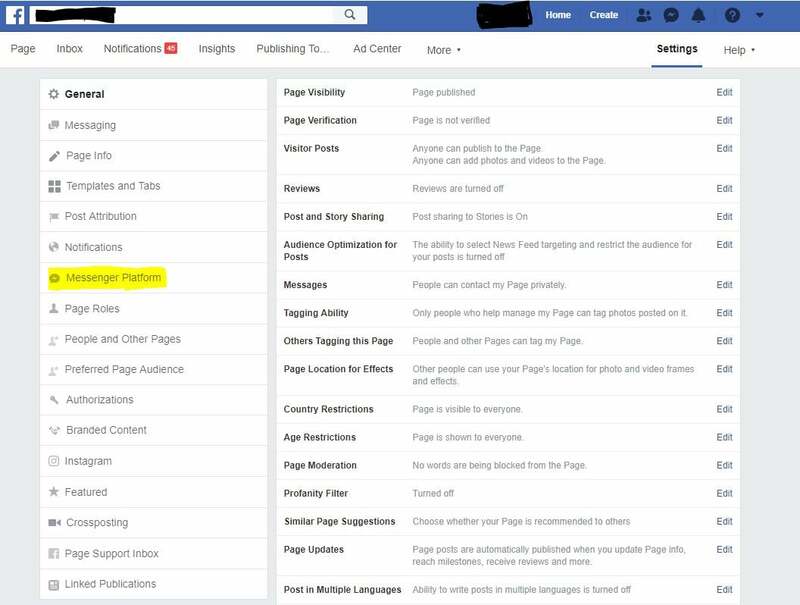 At this point, you’ve successfully configured your Facebook Business page settings to accept connections directly from your website. Continuing from where you left off in Step 1, scroll further down the Messenger Platform settings until you see the section called Customer Chat Plugin. Click the Set Up button. Follow the instructions on each of the screens that follow. For most users, the defaults will work just fine. At the end of the configuration, you’ll be provided with the code snippets that need to be added to your website to implement the Messaging feature. You’ll need to paste the code snippet provided in Step 2 into each page of your website where you want the Messenger plugin to appear. How you do this will depend on how your website is coded. For full-service platforms such as SquareSpace or Wix, you’ll need to follow their instructions for adding code snippets. If you’re a WordPress user, there are a handful of plugins that will add the code for you and Facebook has an official plugin you can download and install right from the WordPress repository. Once you’ve completed these steps, visitors to your website will be prompted with a “Hi! How can we help you?” messenger box that allows them to communicate with you via Facebook Messenger without ever leaving your website. The Messenger plugin will only trigger if the visitor is already logged into their Facebook account on the browser they visit your site from. This eliminates the possibility you’ll bounce them off your site to log into Facebook. What this also means is that visitors using privacy protection such as incognito browsing won’t see it. Before implementing Facebook Messenger on your website, consider whether you have the time (or staff) to respond to messages quickly. Customers who send messages via this type of channel normally expect a quick response. Adding the messenger to your site and then never checking your messages is a quick way to alienate potential customers. That being said, adding Facebook Messenger to your website is an easy way to get the communication ball rolling with prospective customers and gain additional sales conversions.